The Klondike Gold Rush in Dawson City in the Yukon Territory is a National Historic Site open to the public where one can learn about Canadian History. A shovel, pickaxe and bowl were the only items needed to create a beautiful garden arrangement and to keep your fields thriving. 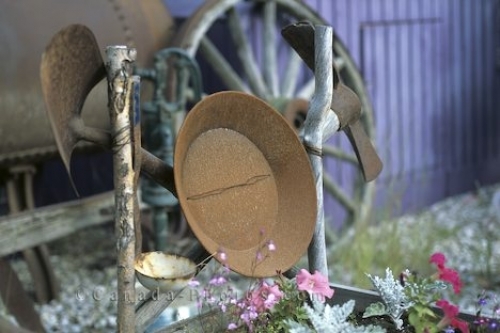 Picture of a garden arrangement and the tools that were used in the days of the Klondike Gold Rush in the Yukon Territory.